Every month Rachelle from Popsicle Interiors will be out and about trawling through the vintage furniture stores of Brighton and Hove to find the most stylish, unique and iconic pieces for your home. ‘A place for everything and everything in its place’. An old fashioned notion that I completely agree with; everything should have a place to be stored and that it should be tidily returned there when not in use. However let’s always remember to be tidy and organised in style. Suitcases, yes they are in still in fashion, especially this stack of three I came across and from just £25 they are an affordable alternative to the more mainstream storage solutions on the market and they can also hold / hide a lot of stuff! Even keys should have their own place in a home and they would be perfectly accommodated upon this John Smiths mirror with hooks. Place it near enough your entrance door and not only can your keys be fashionably hung for just £78 you will also get to make sure you too are looking your finest. 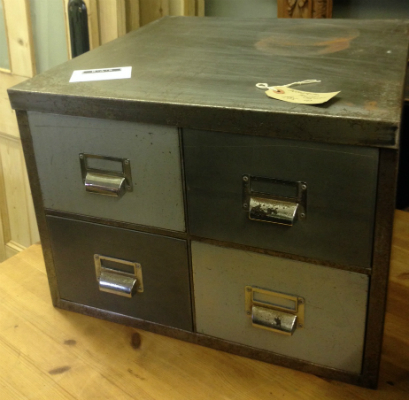 If, like me, you like your vintage Industrial then this metal filing cabinet could be yours for £85. 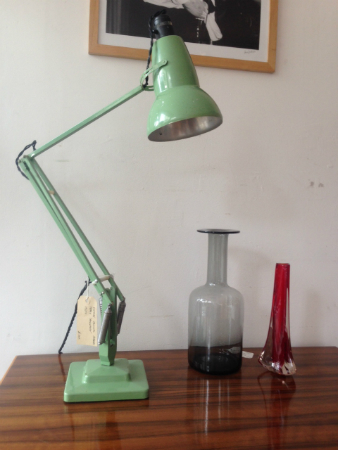 To compliment this piece of furniture in your room an industrial lamp like this green metal one would be ideal. 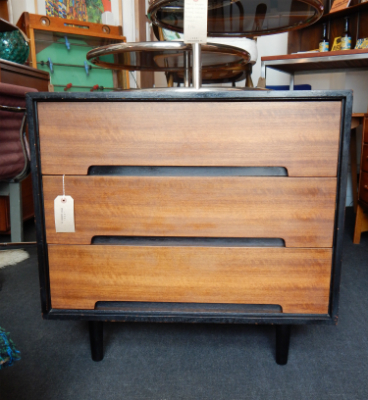 Stealing the storage show for me though is this example of a Stag ‘C-Range’ chest of drawers by John and Sylvia Reid retailing at £320. The furniture range is well known today for being extremely well made and functional. This particular piece wouldn’t look out of place in any bedroom but could be particularly striking when placed within a modern minimalist décor. 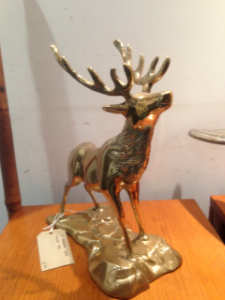 Because I apparently can’t help accessorising this brass highland stag statue, costing £85, would look magnificent placed upon those Stag drawers! Stage ‘C-Range’ Drawers : Era, Upper Gardner Street. 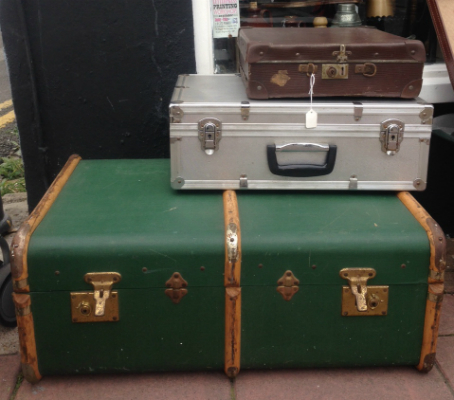 Stack of Suitcases : Mr Magpie, Gloucester Road. Industrial Filing Cabinet : Brighton Architectural Salvage, Gloucester Road. 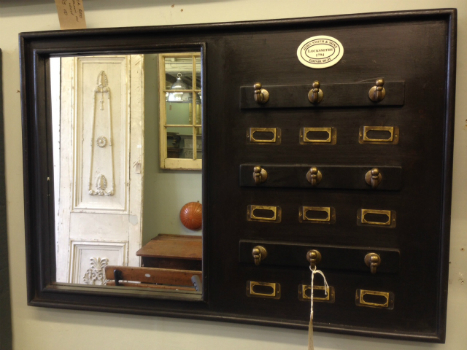 John Smiths Mirror With Hooks : Brighton Architectural Salvage, Gloucester Road. Brass Animals & Industrial Lamp : In My Room, Gloucester Road.